House systematically begins eliminating his new team candidates, until he is approached by a fighter pilot named Greta, a candidate for NASA's astronaut training program. Greta suffers from a neurological disorder, where she converts sounds to visual images. Knowing NASA will reject any possibility of her becoming an astronaut if they knew of her problem, Greta begs House to treat her in secret. 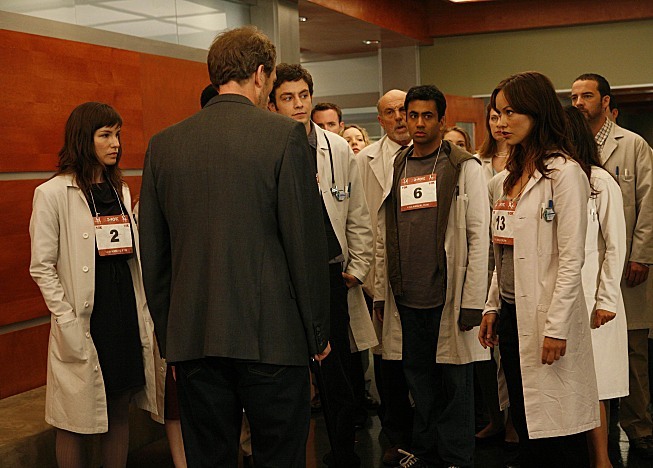 Meanwhile, House is ruffled when he thinks he sees Cameron, Chase and Foreman in the hospital hallways. Whole or part of the information contained in this card come from the Wikipedia article "House (season 4)", licensed under CC-BY-SA full list of contributors here.